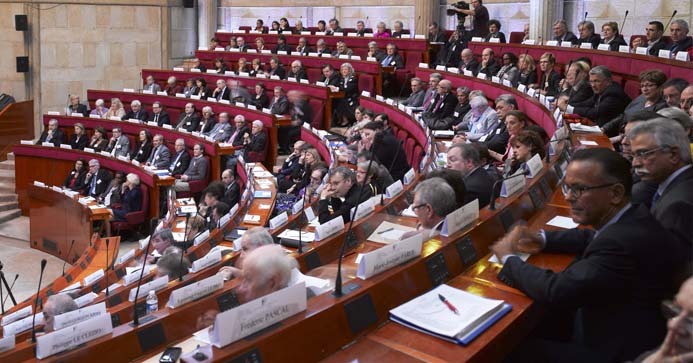 The ESEC broadened its field of expertise and the scope of its missions following France's constitutional reform in 2008 and the enactment of the organic law of 28 June 2010. The ESEC has 233 members comprising 18 groups of representatives each appointed for a term of five years. Methods of appointing members are based on different rules amended by the organic law of 28 June 2010, which introduced changes to allow representatives for environmental and nature conservation to join the Council, along with representatives for youth and student interests. The 233 members are divided as follows. 10 qualified individuals chosen for their experience in economics, including two from public corporations and one representative of French economic interests abroad. 15 qualified individuals chosen for their experience in social, cultural, sports and scientific fields, in social housing, or in promoting the interests of disabled citizens and retirees. 15 qualified individuals chosen for their expertise in sustainable development and the environment, including at least three business leaders from companies highly active in these fields. The French government may request that up to 72 public figures chosen based on their respective skills join one of the ESEC sections for a specific period and mission. These temporary members bring additional expertise to enhance the efforts of their respective working groups. A given section may have no more than eight such temporary members, who will work alongside the other Council members on issues handled by the section. They may also vote on proposed studies and even act as rapporteurs. Unlike full ESEC members, they may not vote on draft opinions.